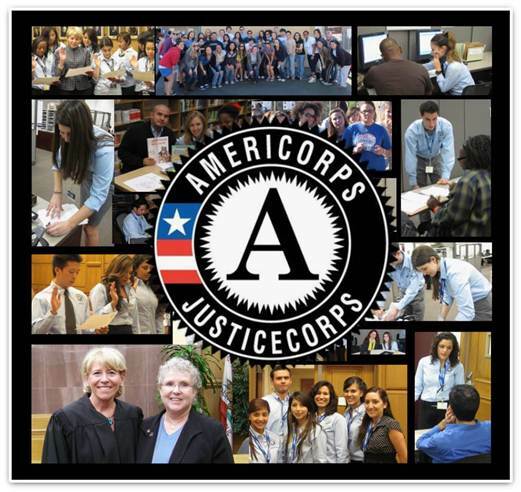 The goal of this AmeriCorps Program is to provide equal access to justice for those who cannot afford an attorney. Through the Los Angeles Superior Court , students are trained and supervised by attorneys. After completing 300 hours (60 hours are dedicated to training/preparation) students are eligible for an education award or “service scholarship,” which ranges from $1,300-$1,700. Academic credit is also available through the UCLA Center for Community Learning. Since 2004, UCLA’s Center for Community Learning has partnered with the superior courts to provide students with the opportunity to be actively involved in the judicial process.UCLA students provide assistance to self-represented litigants in court-based, self-help programs throughout Los Angeles County. There are several pre-selected sites specializing in family law, housing, landlord/tenant disputes, or small claims. 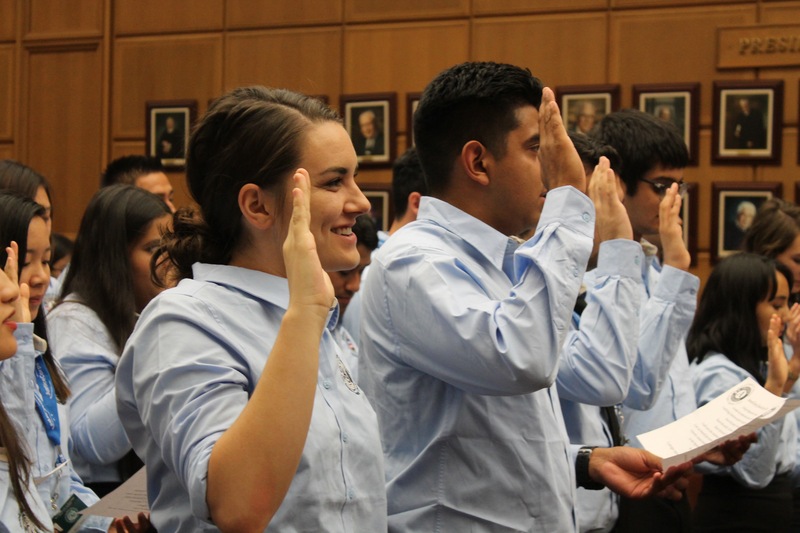 By receiving hands-on experience with the public and court attorneys, students get the professional training that prepares them for a future in public service. For more information about the superior court, contact Jennifer Kalish , JusticeCorps Program Director or Lester Murillo , JusticeCorps Program Coordinator. COLLEGE STUDENT PROGRAM (MINIMUM TIME/300 Hours): JusticeCorps college student members provide 300 hours of service within an academic year (typically September – May/June). Members are required to serve a minimum of 6-8 hours per week at their assigned service location. The 2018-2019 program start date is September 15, 2018. All 300 hours of service must be completed by August 10, 2018. NOTE: Applications must be received by the application deadline to receive priority consideration. However, we will continue to accept applications until all spots are filled by qualified candidates. Applications for open positions will continue to be accepted on a rolling basis after the deadlines have passed. JusticeCorps reserves the right to stop reviewing applications once all available member positions have been filled. As part of Corps Members service in the community, students also participate in at least one of two annual AmeriCorps Days of Service, which are coordinated to commemorate Martin Luther King, Jr. Day and Cesar Chavez Day. Projects in the past have included beautification of shared city spaces, marches, and rehabilitation of schools or parks through painting murals and planting gardens. Each year, the superior court gives students the opportunity to shadow judges for a day. Students are able to get a close-up look at the court procedures in criminal, juvenile, drug cases at a courthouse where they do not serve. WHAT DO UCLA STUDENTS SAY ABOUT JUSTICECORPS? “JusticeCorps is arguably the best program to be involved in because it really gives you an introduction not only to legal terms and dealing with attorneys but it also helps you associate with clients or litigants in our case. It really gives you the opportunity to help people out who need it. Apart from that, it comes with professional perks, like networking and being able to shadow a judge and interacting with attorneys. Overall, you learn about how the court works, which is really valuable.”Where are they now? After serving as a corps members in 2016, Gomez returned in 2017 to serve as a student representative to UCLA. “I was apart of JusticeCorps for two out of the three years I was at UCLA. I volunteered as a JusticeCorps member my first year, and I was a University Representative the next. It was a big part of my undergraduate life. In my role as a Representative, one of the things I told my members at the first meeting was, ‘We are going to see more of each other than people in our family this year.’ That statement was certainly true for me because I was an out of state student. I loved my members and being part of the JusticeCorps family.” Where are they now? Kwan attends Georgetown School of Law and is expected to receive her JD in 2020. “Before applying, I thought JusticeCorps was helping litigants complete forms – and we definitely do a lot that. But it’s a lot more than just completing forms. Seeing the empowerment in people or just the way they speak about what they’re doing at the end of something [their meeting] that’s something that I didn’t expect. It’s such a joy, and fulfilling to take part in that.” Where are they now? Polanco currently serves as a Research Intern at the U.S. Department of Justice. Email JusticeCorps for more information.